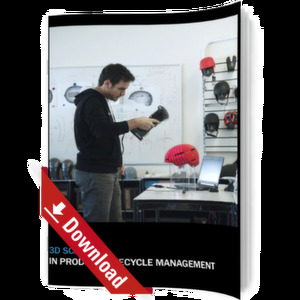 This whitepaper discusses the process and benefits of 3D scanning for product lifecycle management. The different steps are all illustrated with examples and detailed descriptions. From design to production, maintenance to reproduction, the different steps of lifecycle management are important to follow. 3D scanning has many advantages over the course of a product's lifespan. This whitepaper guides designers and manufacturers through the different steps and requirements of effective lifecycle management. Additionally, these steps are illustrated with a concrete example to further understanding. In doing so, the paper provides useful steps for prototyping and re-working of models all the way to manufacturing. At the same time, 3D scanning is used to improve several steps.